With hundreds of walks to choose from when you visit the Lake District, deciding which are the best for you can feel like a tricky business. 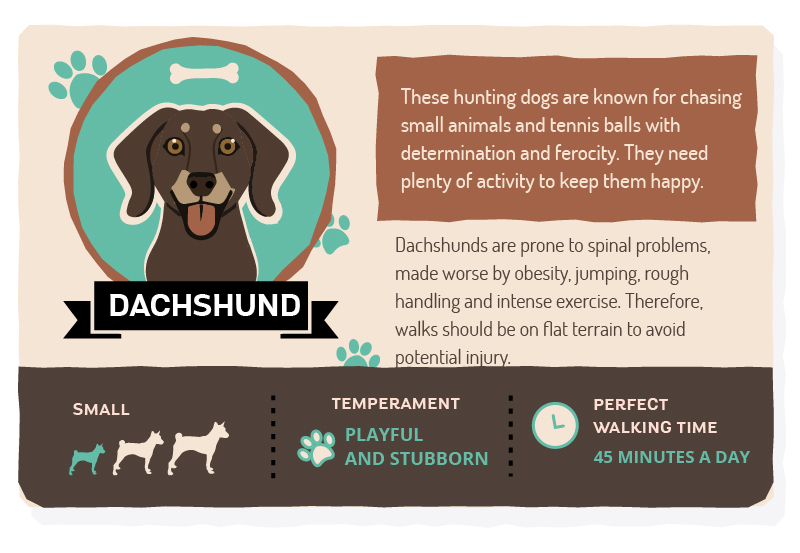 And if you are taking a four-legged friend with you, this can feel even more difficult! 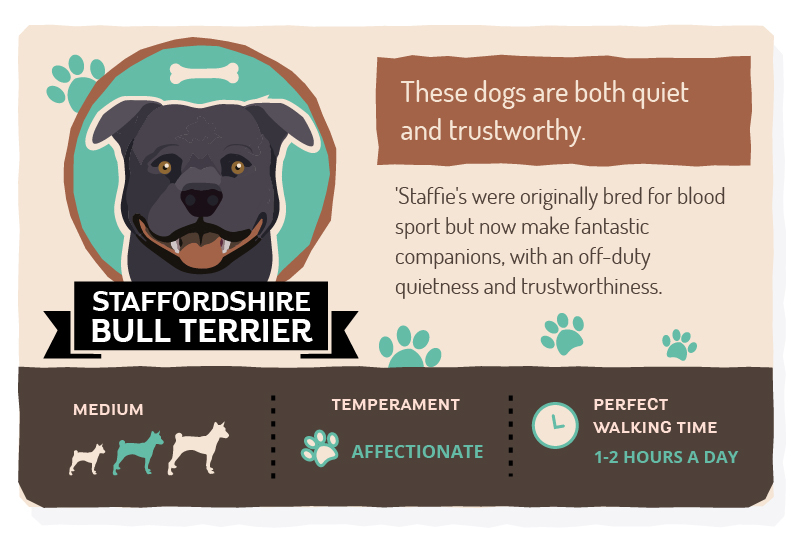 We have looked at the UK’s most popular breeds and looked at the type of walks they love and even suggested the best walk for you to take them on next time you visit the beautiful Lake District. 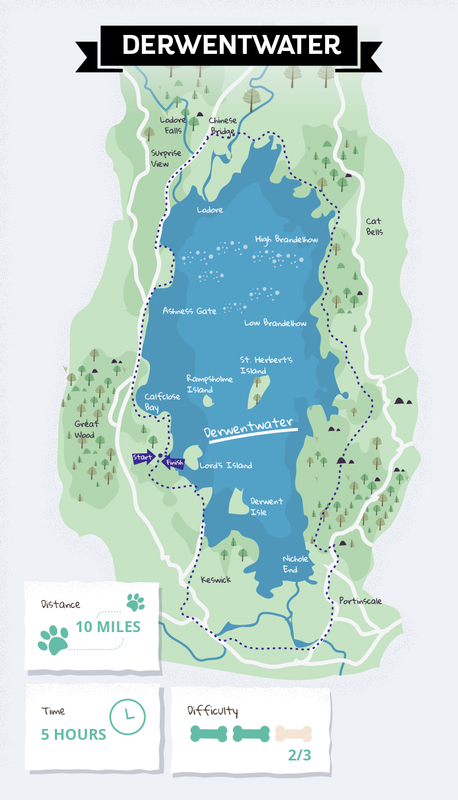 Starting at the National Trust Shop, this 10-mile walk follows the well-signposted path right around Derwent Water. 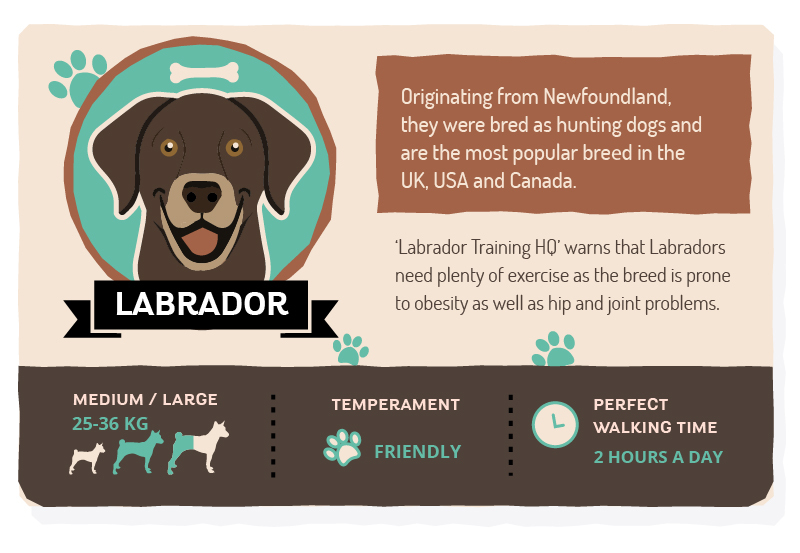 This walk is great for Labradors as there’s plenty of opportunities to walk off pent-up energy and they might even get the chance of a paddle. 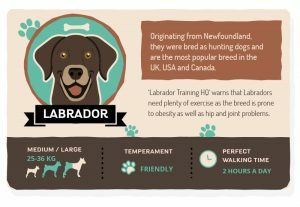 Walk the full route if your lab has plenty of energy or if your dog is a little older consider taking a boat from one of the landings back to your starting point. 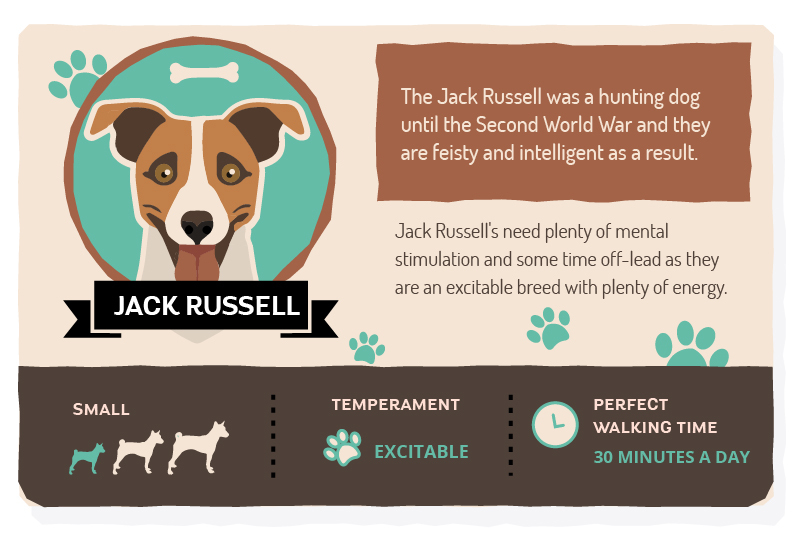 This 1.5 miles walk takes about half an hour to walk, which is perfect for Jack Russells. You can take in some of the best views the Lake District has to offer with the Langdale Pikes close by. If you want to extend your visit, consider visiting Monk Coniston Hall, making the walk 3 and a half miles with a welcome break at the hall and gardens. 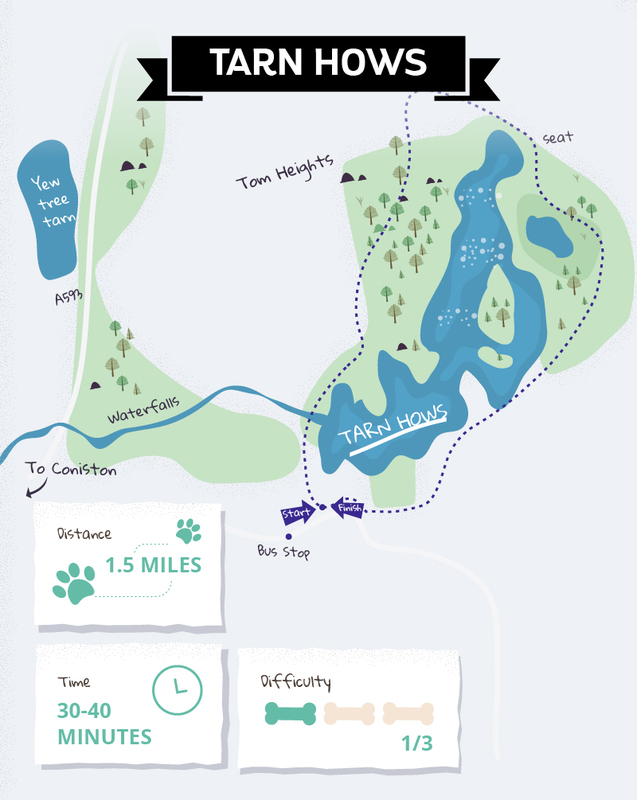 This 1.5 mile walk through varied terrain offers plenty of opportunities to explore. 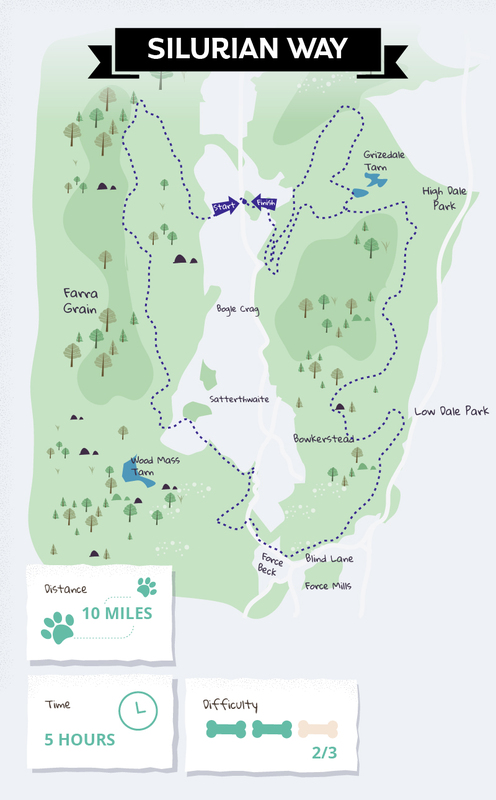 There is some steep walking and uneven paths, but this will mean your dog is using his brain as well as his four paws to explore the trail. 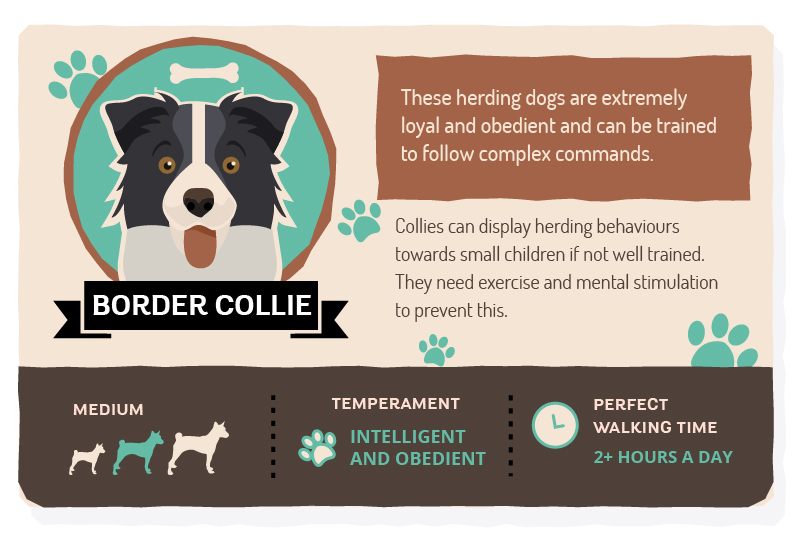 This 10-mile walk offers plenty of opportunities for your collie to burn off his energy and with a variety of terrain, he’ll need to use his intelligence on the way. Offering a tour of the forest, you will pass not only the many natural beauties in the area but the recent sculpture installations which add to the areas magic. 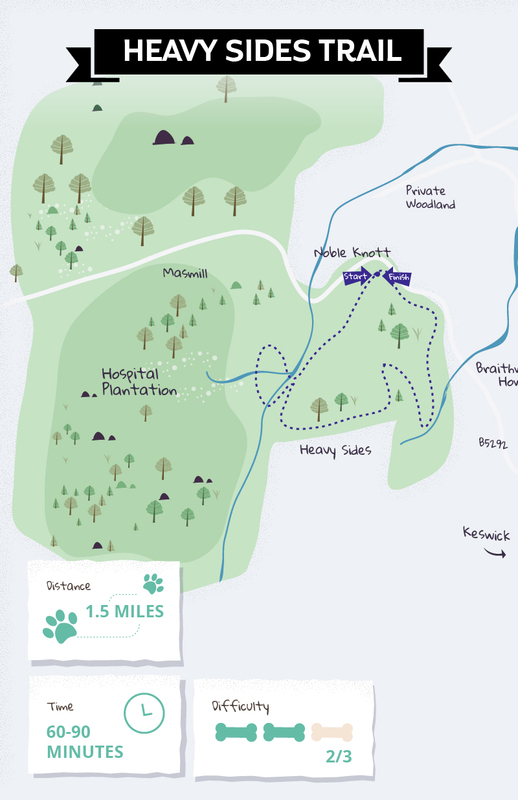 This circular route will take you and your four-legged friend about forty-five minutes to complete – the perfect length for a Dachshund. Passing along rugged paths and is fairly flat. 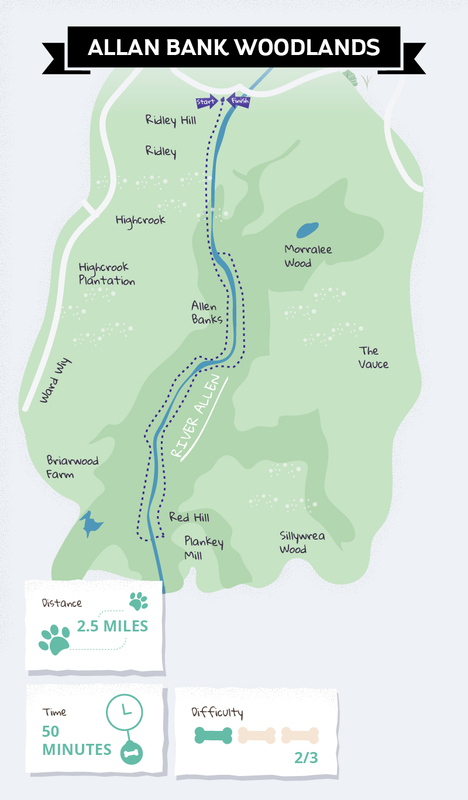 With ancient woodland and beautiful views, you’ll want to visit this walk every season. Wherever you decide to take your best friend, the Lakes is the perfect holiday destination for the both of you. For more reasons to visit the Lakes, discover great walks that include brilliant beer gardens, consider cycling the Lake District and find out the best things to do when it rains.